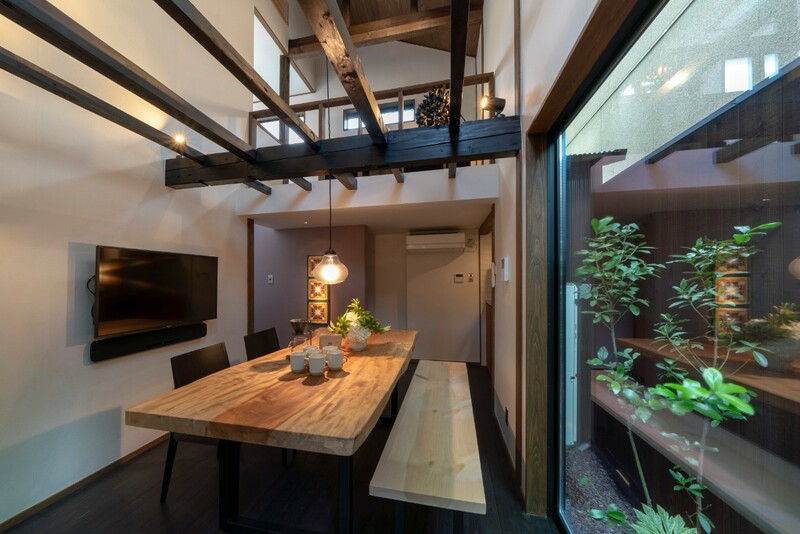 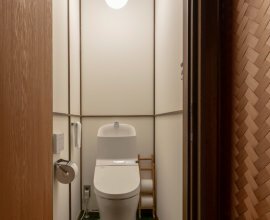 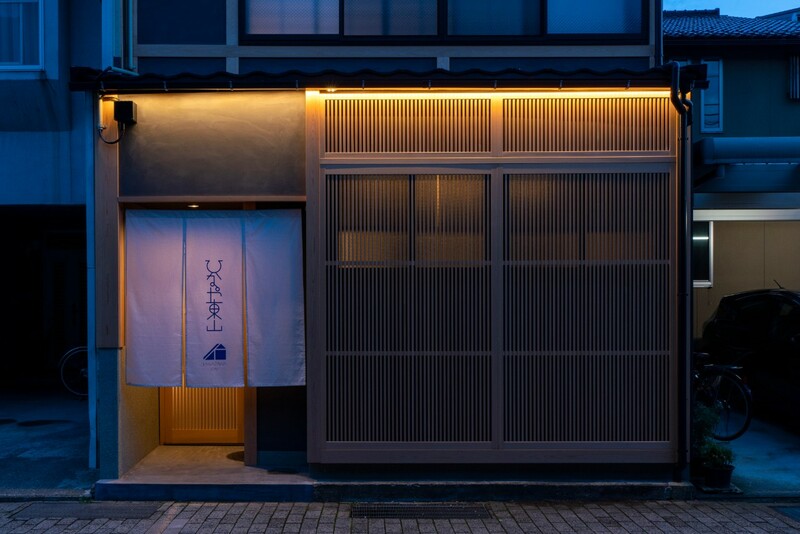 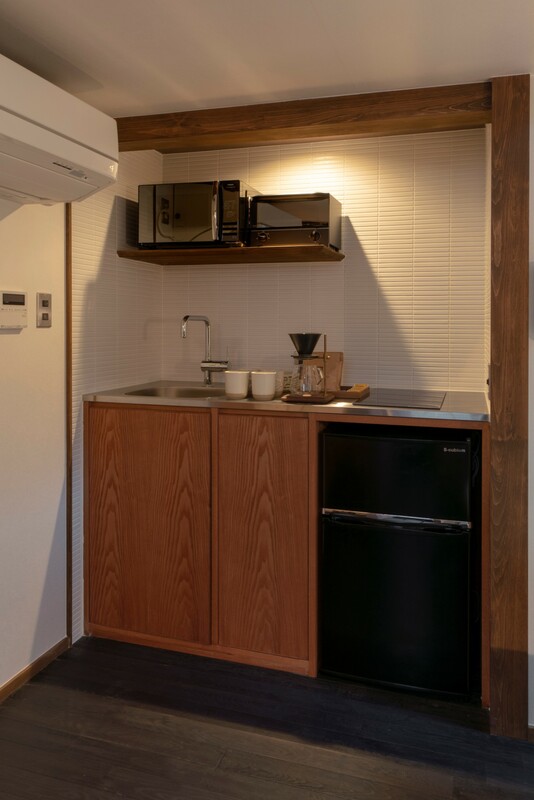 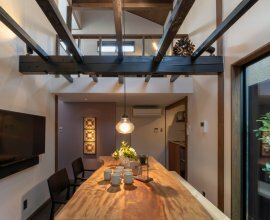 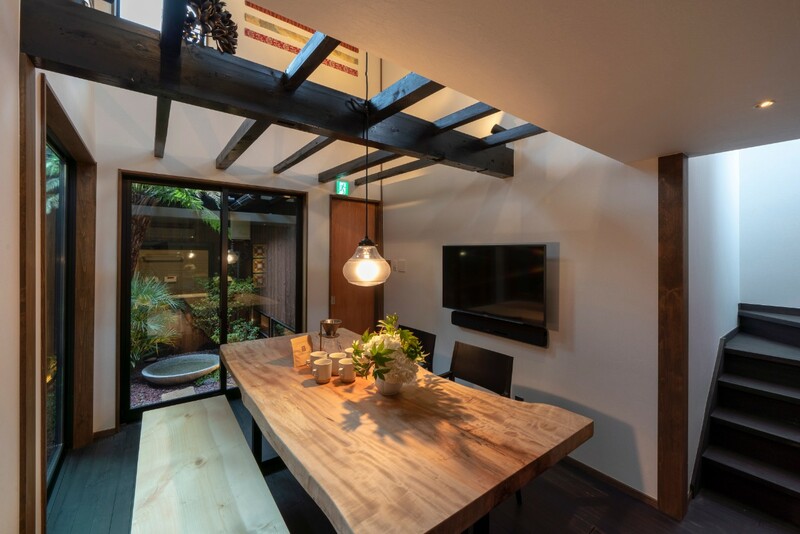 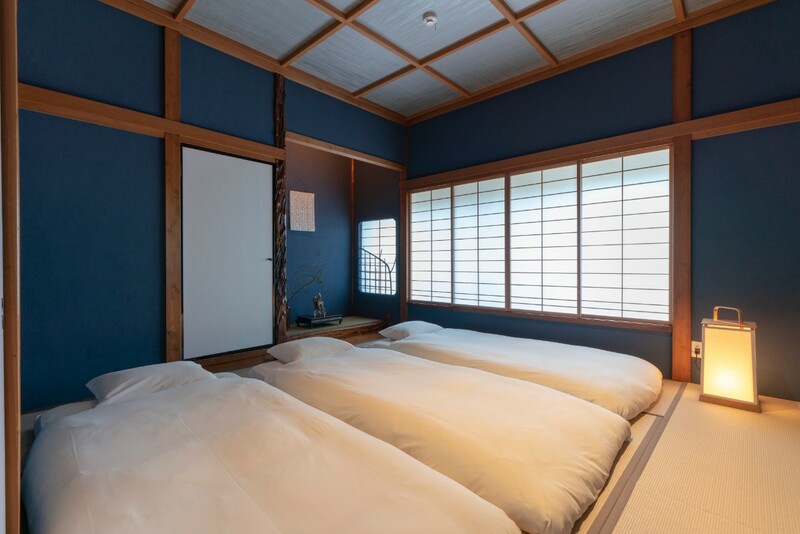 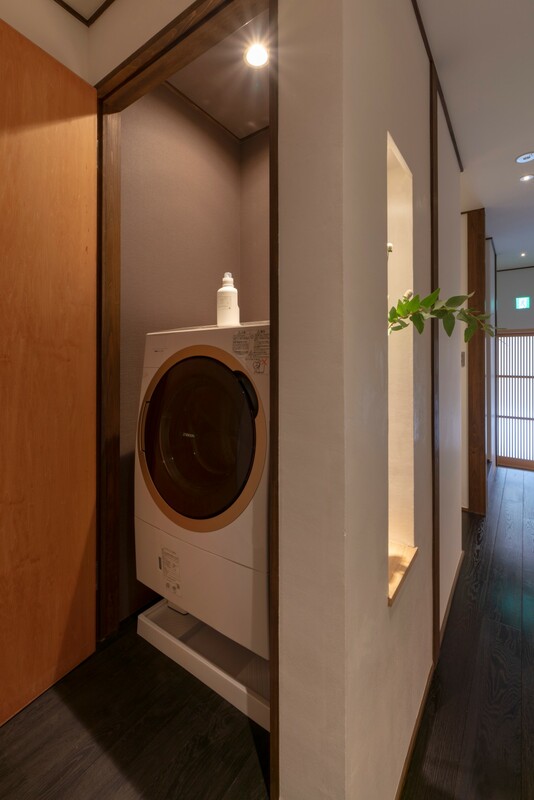 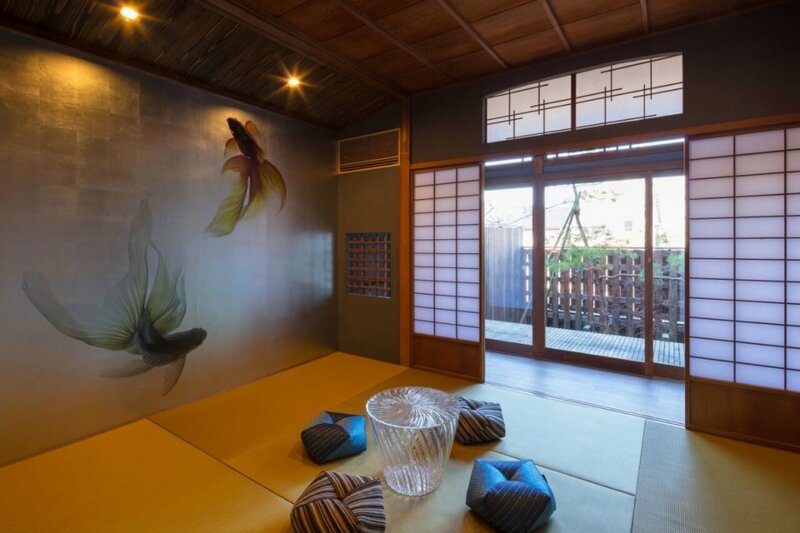 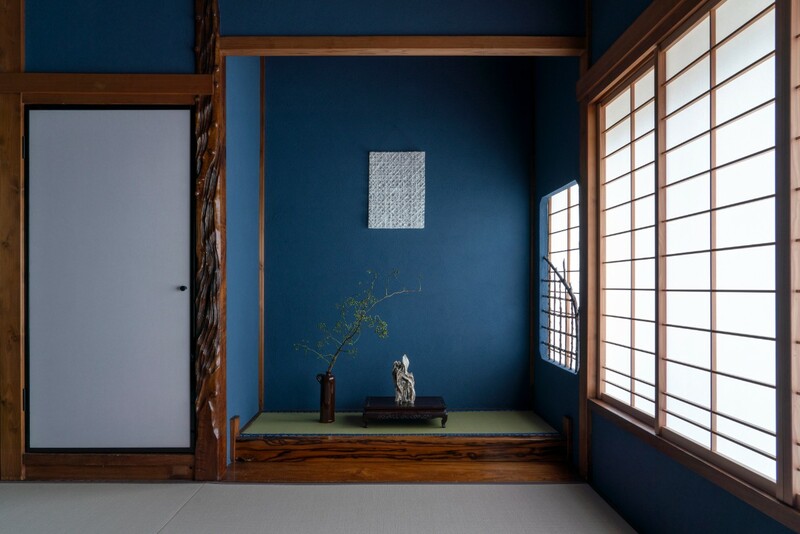 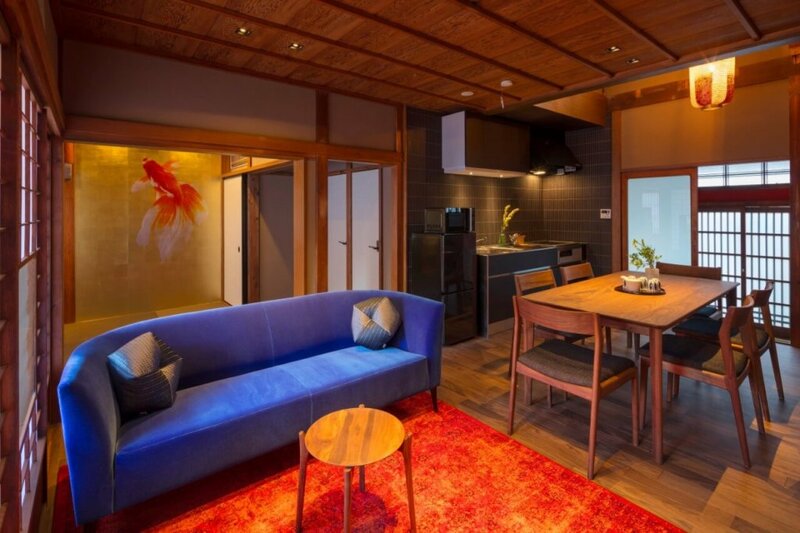 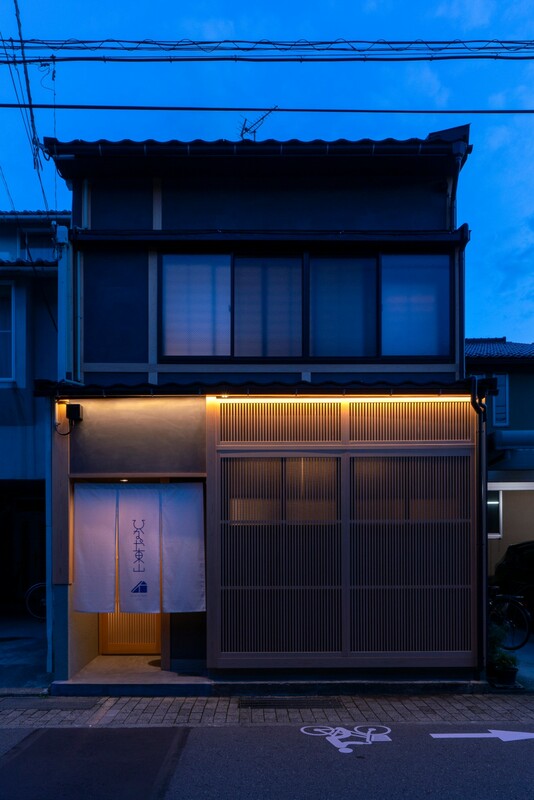 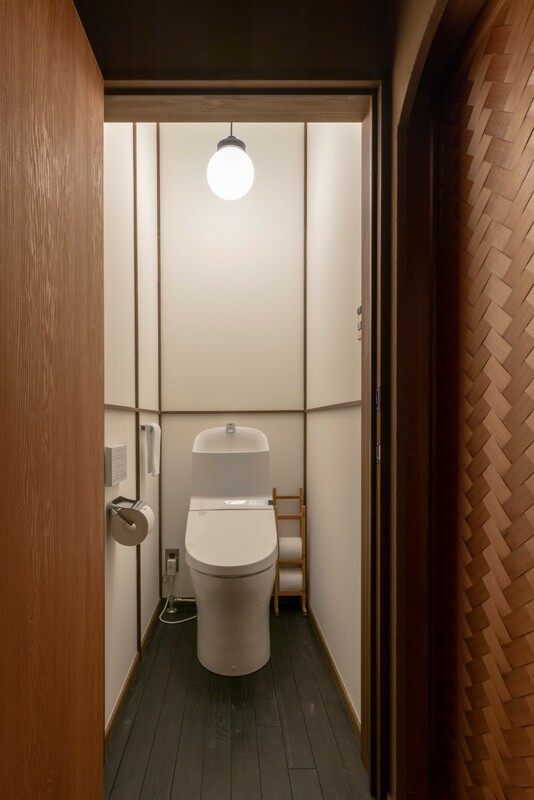 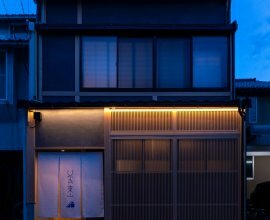 As you approach a quaint Kanazawa neighbourhood, a warmly-lit machiya house comes into view. 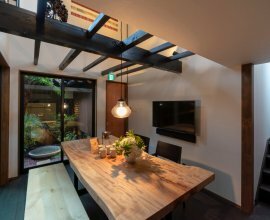 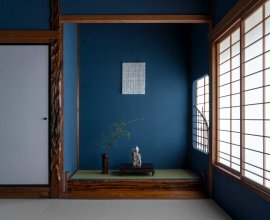 The dark, latticed exterior invites you to enter the heart of “Hinaya Higashiyama” - an expansive space filled with soft illumination. 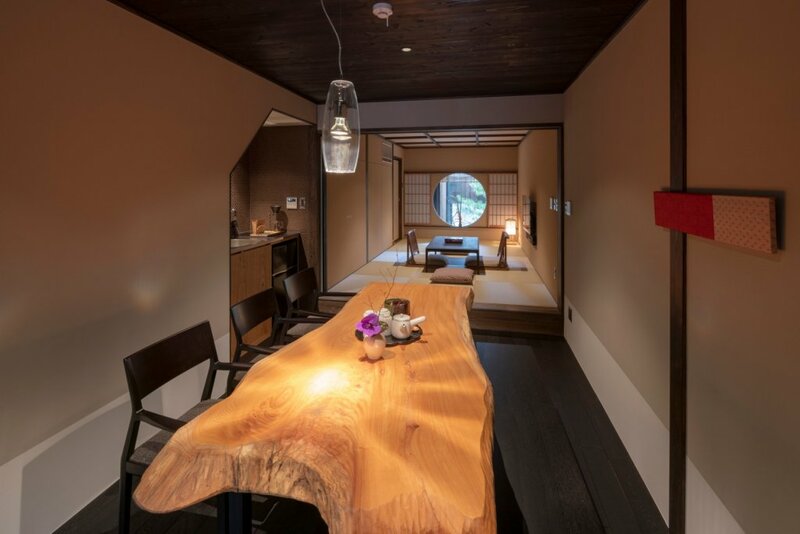 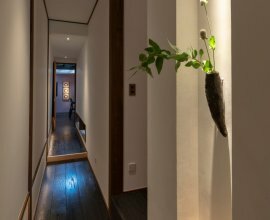 Appreciate the wooden beams that accentuate the architecture's design, the delicate details of the woodwork in the Japanese rooms, and garden come to life in the light. 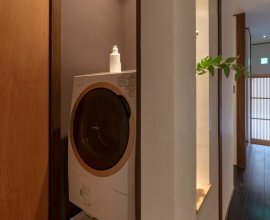 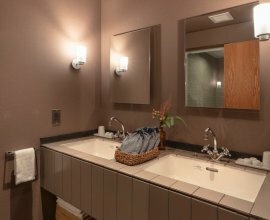  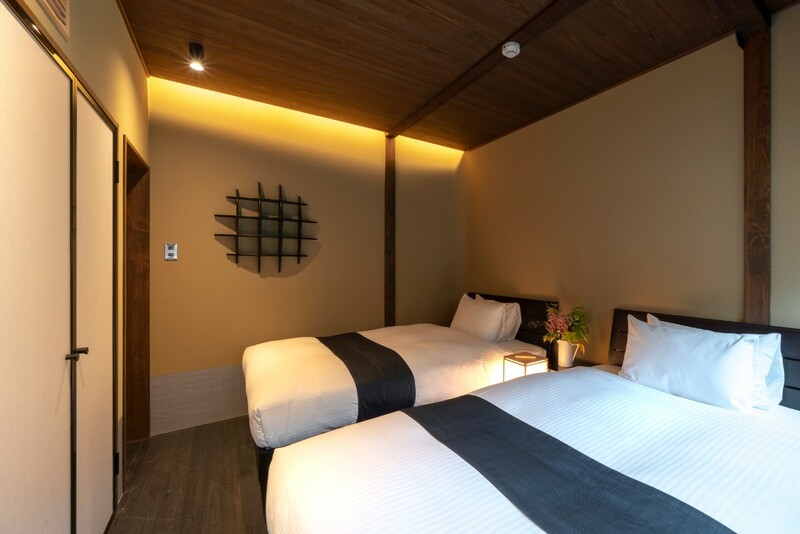 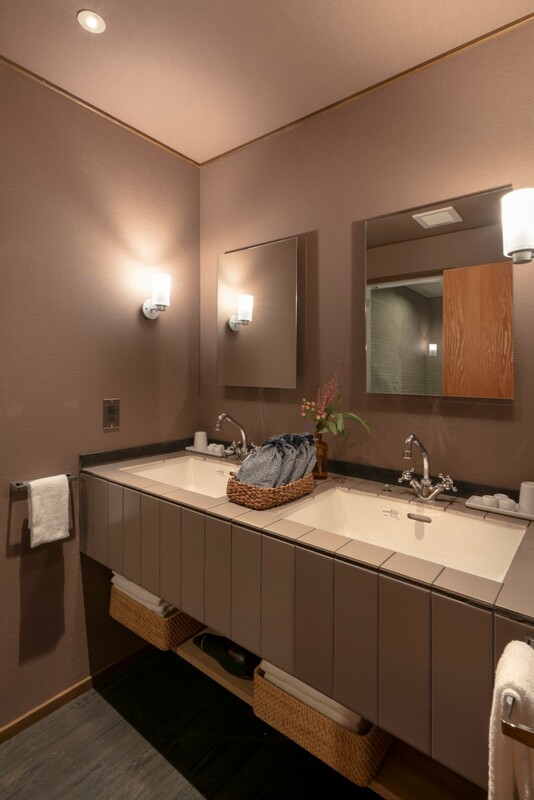 Experience the feeling of calm and relaxation at “Hinaya Higashiyama”. 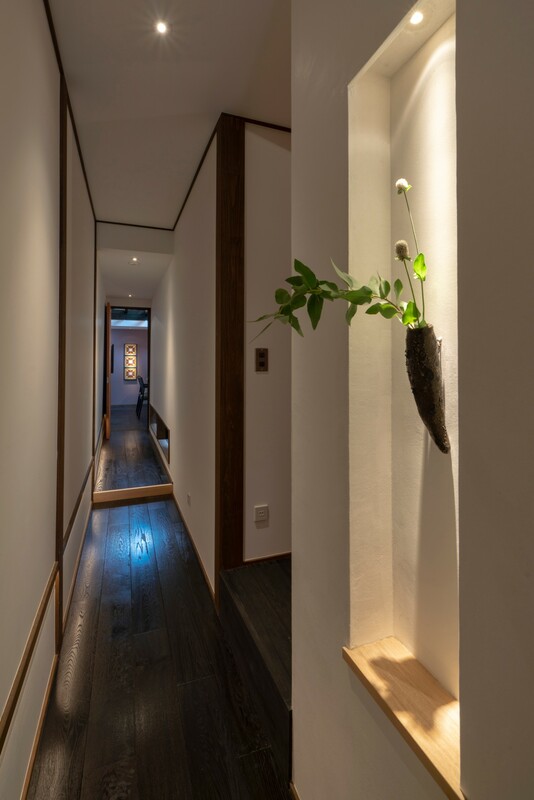 Soft Illumination Warm lighting illuminates the black and latticed exterior, and continues along the inner corridor into the common room with sky-high ceilings. 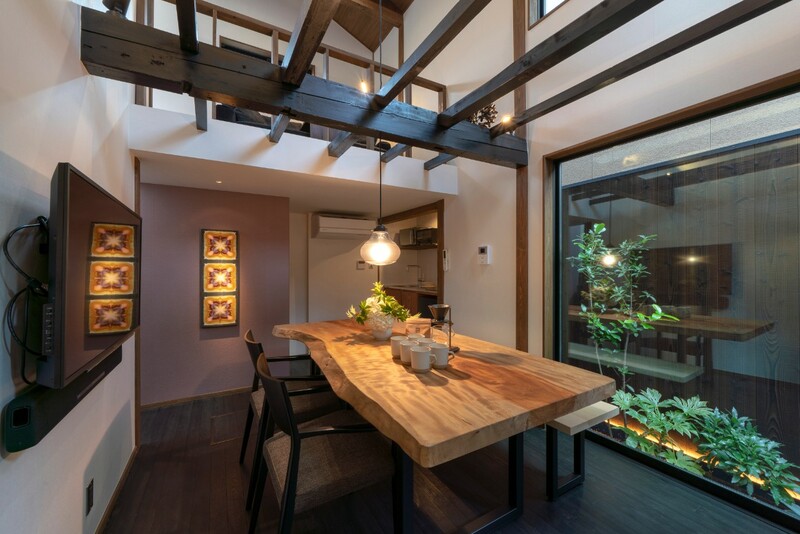 Appreciate the textures of the woodwork and traditional plastered walls. 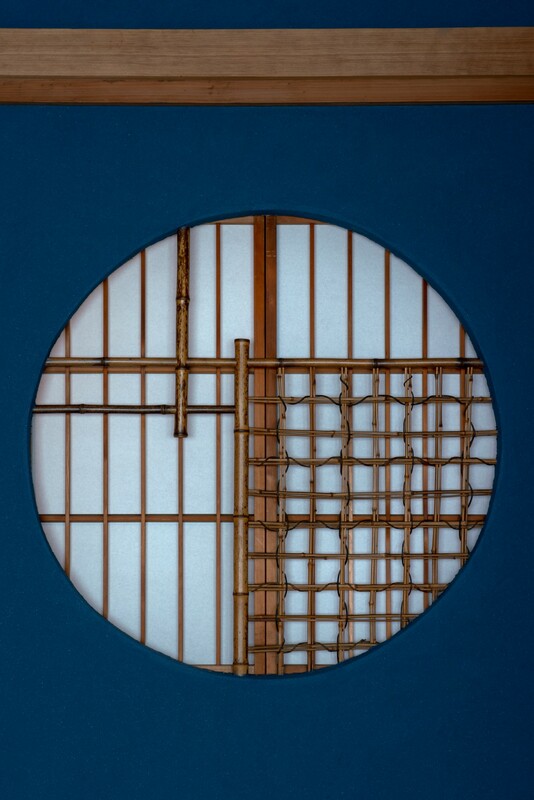 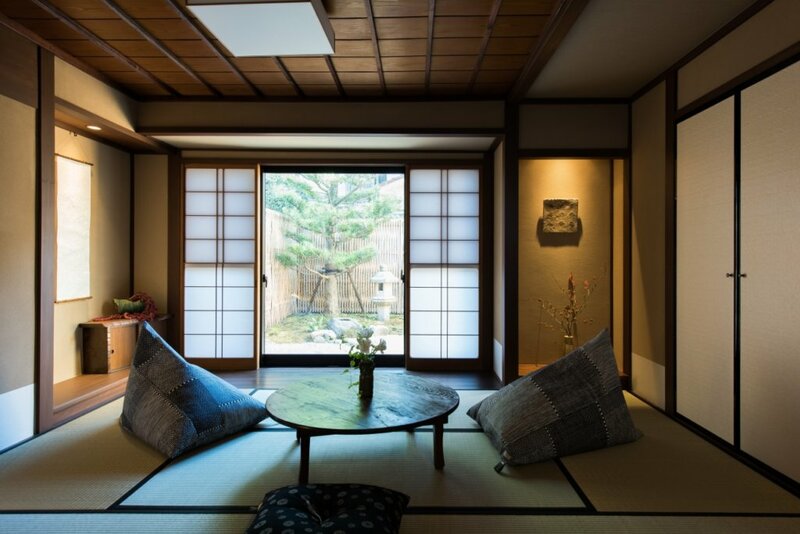 Japanese Woodwork Intricate wood weaving, cedar ceilings and a latticed circular window typical of tea ceremony rooms are featured upstairs. 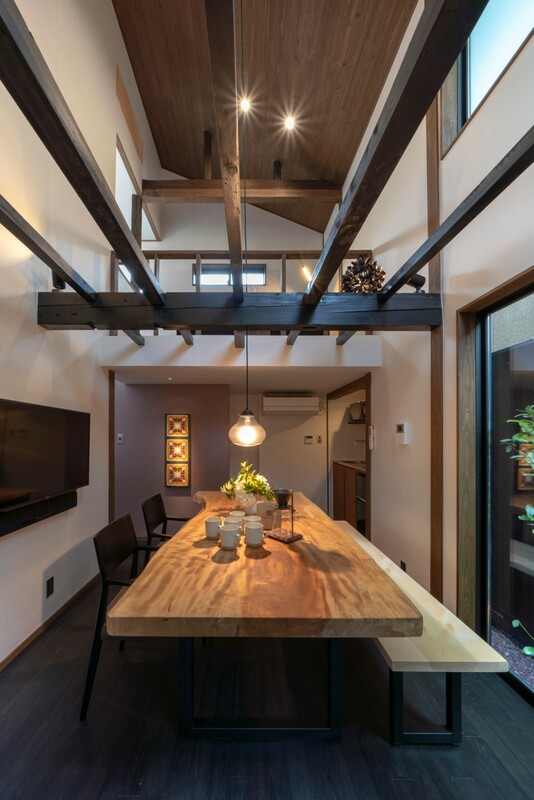 Traditional wood beams and a solid wood table can be found in the common room. 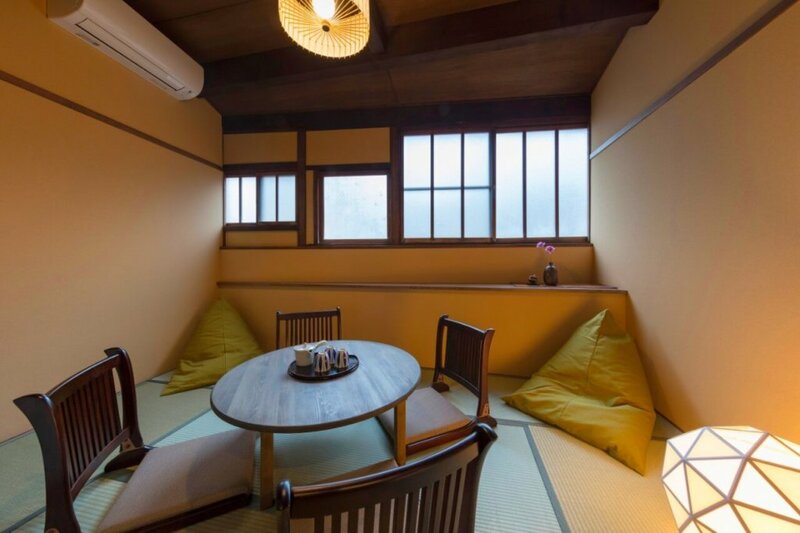 Rest An inviting couch in the loft, two Japanese rooms with cozy futon bedding, and a Western room with semi-double beds provide the perfect place to rest. 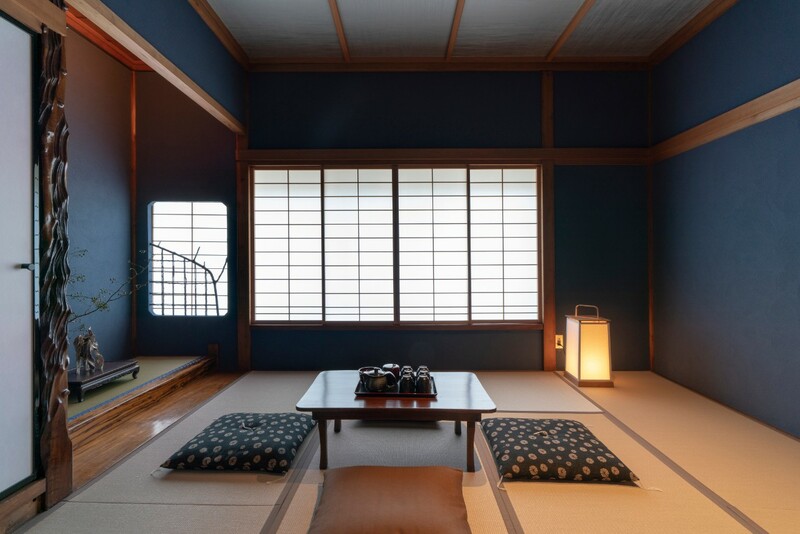 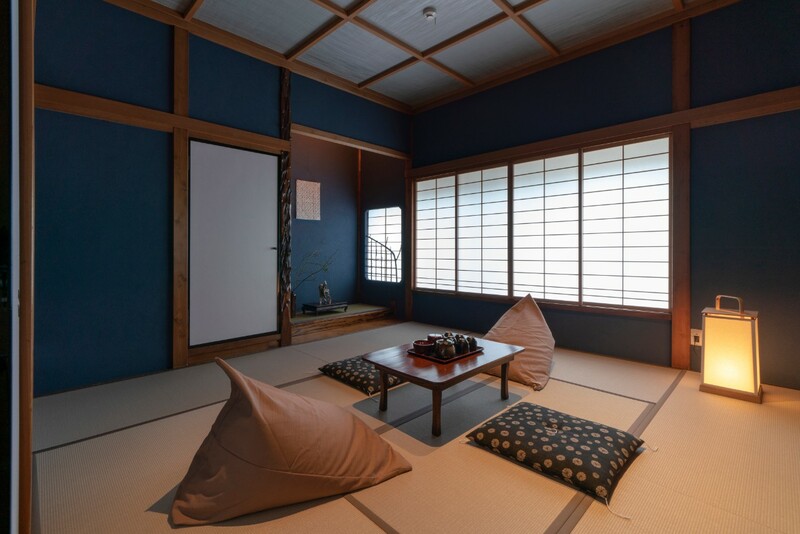 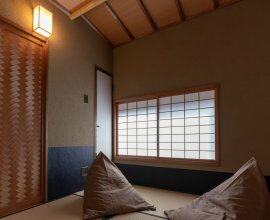 Japanese-style lamps and windows covered with shoji paper create a warm atmosphere. 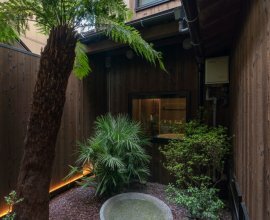 Garden The ‘tsuboniwa’ inner garden brings light, nature, and serenity into the home. 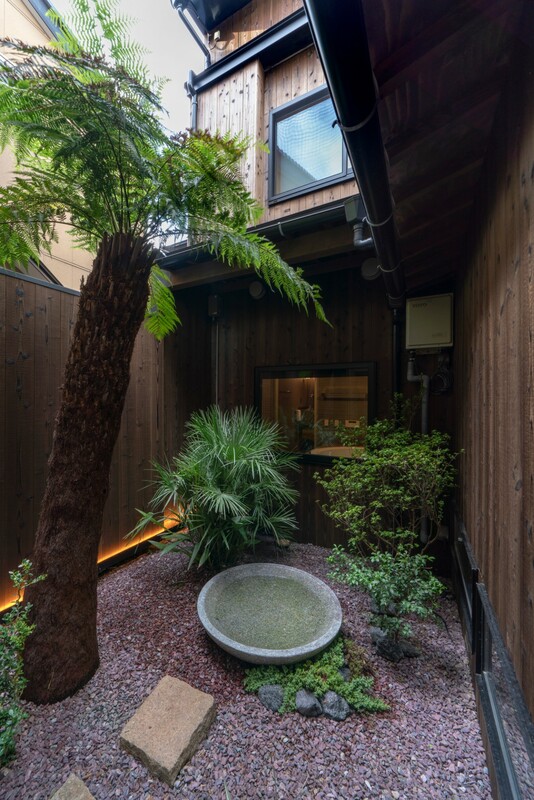 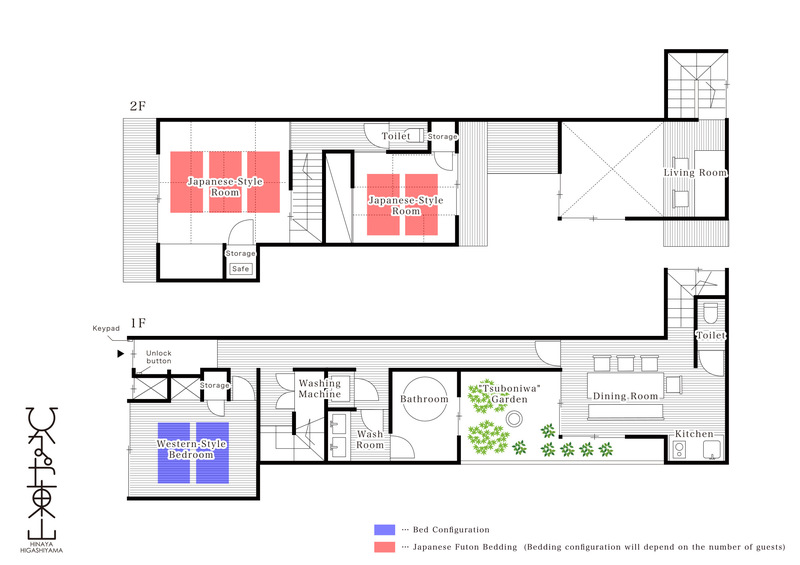 A garden designed with Japanese palm, fern, and stone arrangements can be seen from the common room, loft and bathroom. 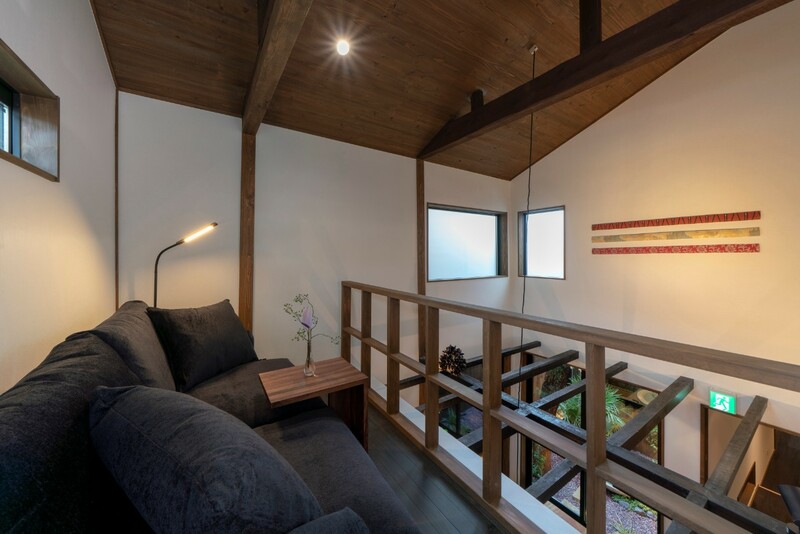 Common Room From the garden views, high ceilings, to the overlooking loft, the common room is designed to be a unified space of tranquility. 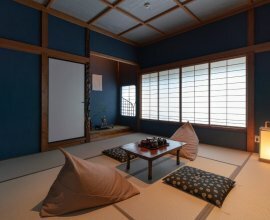 Utilize this area for gathering and relaxing. 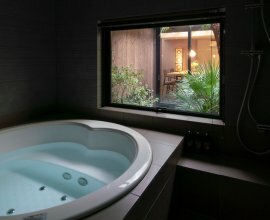 Bathroom The large jacuzzi tub and rainfall shower in a sleek, dark grey-tiled bathroom allows you to relax after a day of exploring the city. 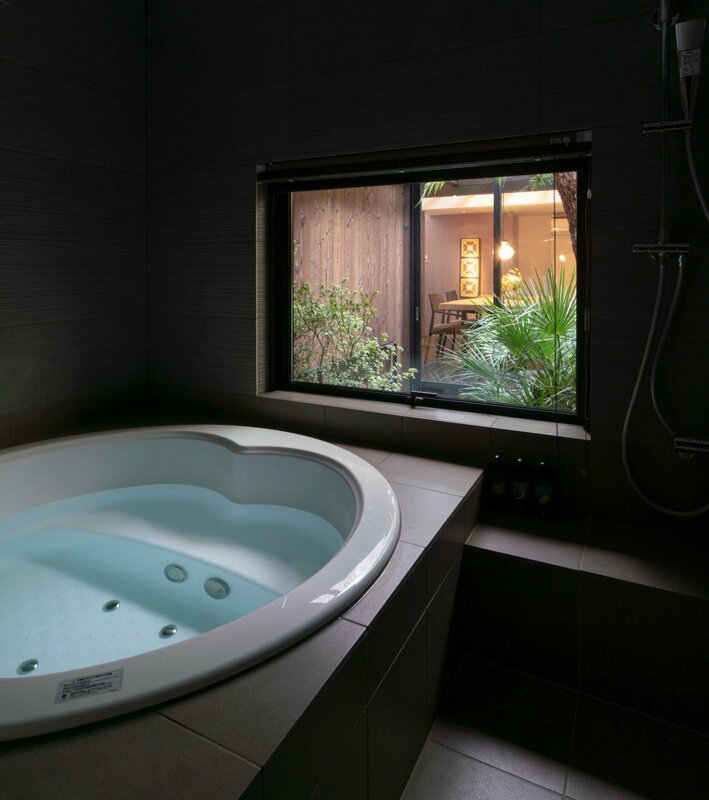 Look out into the garden, and reflect on your day's adventures. 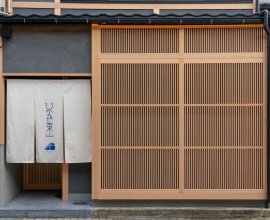 Explore this city on foot, or by bus - discover all of Kanazawa’s popular sights, and local favorites. 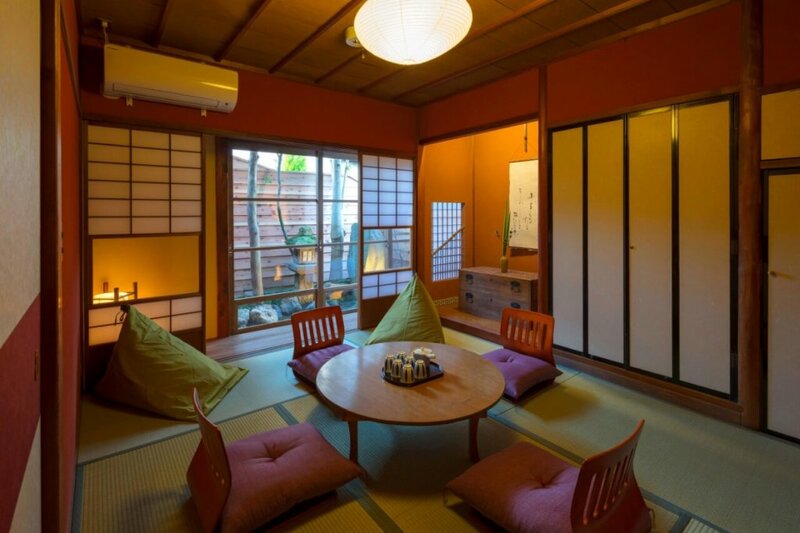 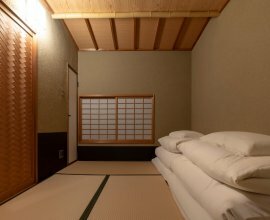 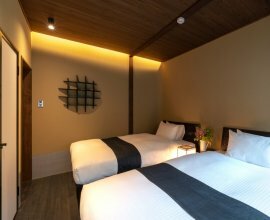 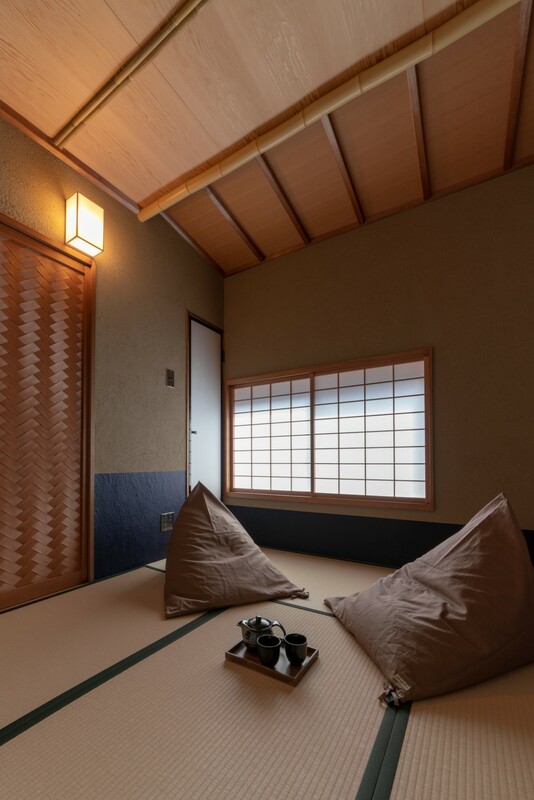 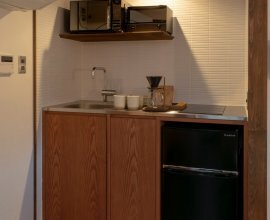 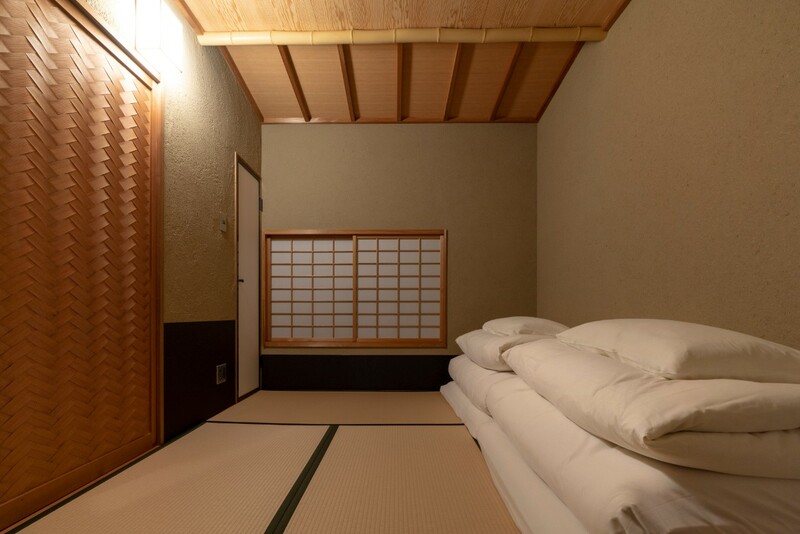 Hinaya Higashiyama is the perfect place to begin your adventure in Kanazawa. 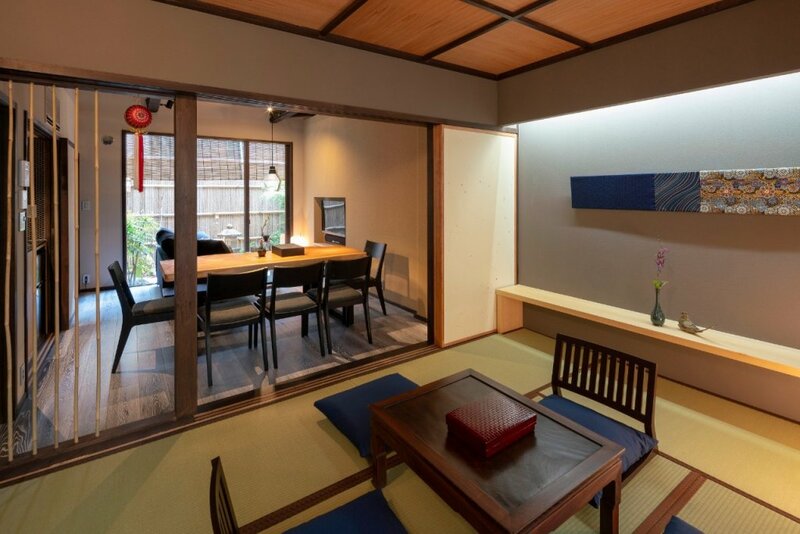 An 8-minute walk brings you to Higashi Chaya, Kanazawa’s largest traditional teahouse district filled with traditional restaurants, and shops showcasing Kanazawa’s famous gold leaf crafts. 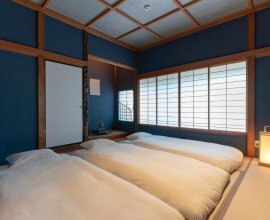 Cross the Asano River bridge and head towards Kenrokuen Garden - considered to be the most beautiful in Japan. 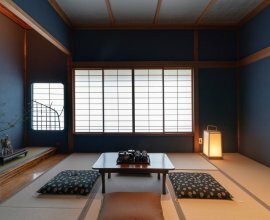 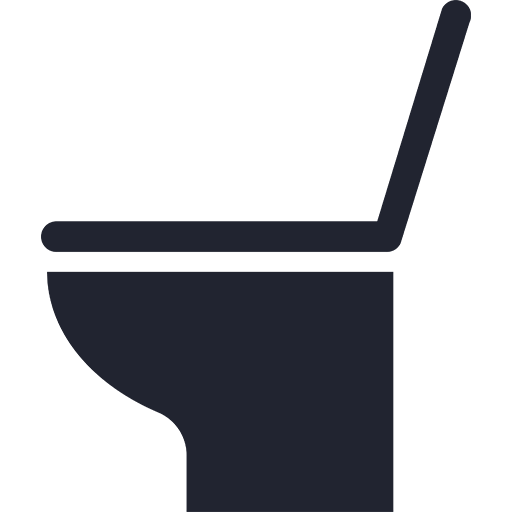 The historic Kanazawa Castle Park, and always intruiguing 21st Century Museum of Contemporary Art are also in the immediate area. 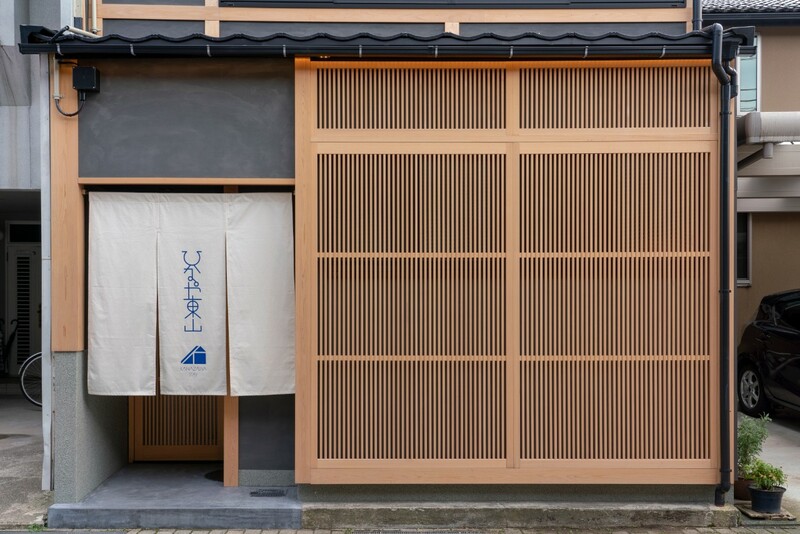 Stop by Omicho Market before you head back to your machiya to pick up local delicacies to enjoy at home.